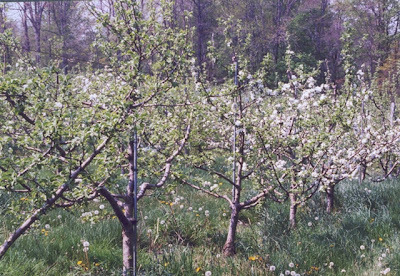 My dissertation research explored the implications of domestication and management on branching architecture and canopy shape of orchard fruit. My work compared the highly manipulated branching structures of tart cherry and apple to theoretical allometries from ecology that describe idealized growth forms shared among all plants. Using these allometries, I evaluated orchard systems for the impact tree size and shape has on physiological and production efficiency. I worked closely with the NC-140 Rootstock Trial to evaluate production efficiency among rootstocks for selection and orchard system development. My research included direct evaluation of the Utah County commercial tart cherry industry. I worked with growers to understand how tree size and canopy shape impact light penetration and fruit quality. While I have not been directly active with the Portal Project, I have participated in some of the plant and rodent sampling and constructed qualitative models of the change in plant community structure over a 30+ year period. 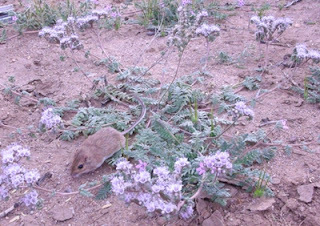 I remain very much interested in community ecology and long-term experimental research programs. With the Ecological Society of America's student outreach program SEEDS, I coordinated a collaborative species inventory among Chapters within the SEEDS network. The SEEDS program has taken charge of this effort where college campuses across the country run a day-long rapid biodiversity assessment, in which they attract local citizen scientists to help expert taxonomists find as many species as possible. The National Coordinated Chapter BioBlitz is primarily an outreach tool to engage the public in environmental stewardship efforts and ownership of local biodiversity. Though, with multiple bioblitz efforts taking place throughout the country each year, perhaps this data may become more useful for biodiversity and conservation science. As an undergraduate, I was mentored by Dr. Jeffrey Lake in the Ostiling Lab at the University of Michigan. I explored relationships between morphological and chemical leaf traits of an invasive shrub, Elaeagnus umbellata. Commonly called, autumn-olive, the shrub is pervasive in open grasslands and forest edge habitats; however, we observed the invasive shrub in the understory of a Michigan forest at the E.S. George Reserve. I found that Elaeagnus was characterized by leaf traits of a sun-loving species, which was different from the traits of the shade-tolerant native species. With such divergent traits, Elaeagnus might function differently from the native community in regards to physiological trade-offs driving the dynamics of its establishment and spread. I returned to the the E.S. George Reserve for my Masters research with Dr. Ines Ibanez. 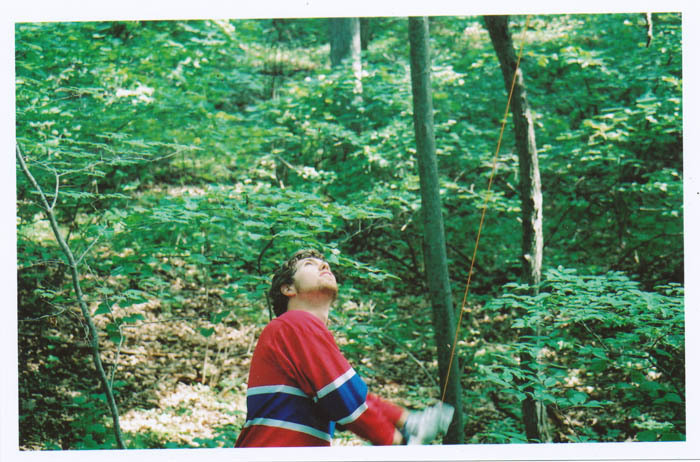 The plot I sampled for my undergraduate thesis was part of a large-scale forest census. Using the growth data from the 22,000+ trees in the site, I constructed empirical models of how the growth of Elaeagnus responds to variable light environments and how that response compares to the native species. I conducted a complementary transplant experiment of Elaeagnus seedlings along a gradient of light and canopy cover. This research found optimal invasive habitat for Elaeagnus was forest edge and gap habitat. The superior height and shading potential of native trees may be sufficient to keep Elaeagnus from drastically modifying the understory community structure, but other native species preferring gap and edge habitat may be significantly impacted by the shrubs invasion. 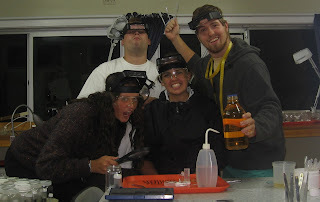 I participated in a directed research project during my study abroad in New Zealand with the EcoQuest Program. We studied the response of ground-dwelling invertebrate communities to differing pest management regimes at Maungatautari and Mt. Pirongia. Maungatautari is a nature reserve with a 47 km predator exclusion fence that facilitates regrowth of natural, and often endemic, vegetation. Mt. Pirongia uses an integrated pest management regime for stoats, possum, feral pigs, and many other pests. We showed differences in functional group composition of ground-dwelling invertebrate communities between the sites. Working thirteen hour days over ethylene glycol fumes has its downsides.